The future workings of the UK healthcare system remain uncertain, yet the pharma industry must work closer with service providers to make the National Health Service (NHS) sustainable, the Association of the British Pharmaceutical Industry (ABPI) annual conference heard yesterday in London. The conference focused on changes to UK healthcare legislation, which would see £80bn of NHS funding handed to GPs to buy care for patients in their region, with primary care trusts (PCTs) and strategic health authorities (SHAs) abolished by 2013. Jim Easton, NHS director for improvement and efficiency, told delegates: "Your customers are thinking hard about value and getting value from medicines. We need to work together to find the sweet spots, where there are points of mutual value. They exist but it will involve difficult negotiations." 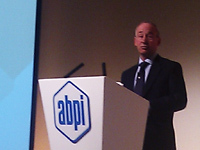 Meanwhile ABPI director general Richard Baker, making his final speech in the role, told delegates: "We are on a crest of a wave of change… We need to share ideas and move forward together. The UK's ability to trial and track new medicines gives it a unique position." However, despite the concern about legislative changes, an audience poll suggested the biggest challenges the industry faces are the state of the economy (23 per cent) and value-based pricing (21 per cent). The conference also discussed the issues of transparency and joint working. Quintiles' senior director of health services, John Proctor, warned that companies are wary of investing in joint working projects where there will be no direct commercial benefit within two years. Andrew Powrie-Smith, ABPI trust director, told delegates that the association is having regular meetings with stakeholders to identify any partnership issues and it is holding its second meeting next week. "We need to continually engage and communicate," he said. 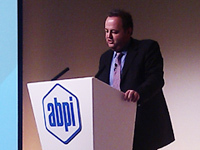 Meanwhile Peter Butterfield, executive director at Alliance Pharmaceuticals, said that the industry must get better at communicating its value. "We need to publically praise companies, not just advertise those that have breached the code," he added. The conference concluded with Chris Brinsmead, independent life sciences advisor to the government, who assured the audience that the UK government is acting swiftly to make things happen. "I have been impressed by ministers – they have grasped the nettle," he said.